Some scientists conclude that musicâ€™s influence may be a chance event, arising from its ability to hijack brain systems built for other purposes such as language, emotion and movement. As Harvard University psychologist Steven Pinker famously put it in his 1997 book How the Mind Works (W. W. Norton), music is â€œauditory cheesecake,â€ a confection crafted to tickle the areas of the mind that evolved for more important functions. But as a result of that serendipity, music seems to offer a novel system of communication rooted in emotions rather than in meaning. Recent data show, for example, that music reliably conveys certain sentiments: what we feel when we hear a piece of music is remarkably similar to what everybody else in the room is experiencing. Western listeners universally agree on whether a song using Western tonal elements is happy, sad, scary or peaceful. Musicâ€™s emotional content may even be culturally transparent. This past April neuroscientist Tom Fritz of the Max Planck Institute for Human Cognitive and Brain Sciences in Leipzig, Germany, and his colleagues exposed members of the Mafa ethnic group in Cameroon who had never heard Western music to excerpts of classical piano music. The researchers found that the adults who listened to the excerpts consistently identified them as happy, sad or scary just as Western listeners would. Thus, the ability of a song to elicit a particular emotion does not necessarily depend on cultural background. Recently, in a clever experiment, acoustics scientist Roberto Bresin and his co-workers at the Royal Institute of Technology in Stockholm garnered quantitative support for the idea that music is a universal language. Instead of asking volunteers to make subjective judgments about a piece of music, scientists asked them to manipulate the songâ€”in particular, its tempo, volume and phrasingâ€”to maximize a given emotion. For a happy song, for instance, a participant was supposed to manipulate these variables by adjusting sliders so that the song sounded as cheerful as possible; then as sad as possible; then scary, peaceful and neutral. These findings, which Bresin reported at the 2008 Neuromusic III conference in Montreal, bolster the idea that music contains information that elicits a specific emotional response in the brain regardless of personality, taste or training. As such, music may constitute a unique form of communication. This shows that when we intend to design for emotion, music can be a very helpful tool to elicit similar emotions with different people. I can especially imagine how beneficial this can be in service design or the design of public spaces and experiences. It is especially interesting when we are designing with an emotional intent and do not want to personalize the design but rather generalize it. Food for thought…. It’s interesting. I also think this explains why experimental pomo/modernistic music failed – taste isn’t entirely rooted in the cultural and social world, and we cannot be conditioned to enjoy what anyone would universally describe as horrible music: someone banging randomly on a keyboard, scraping nails along a blackboard, etc. I think the human animal is predisposed to finding certain rhythms and harmonies and general sounds pleasurable. Good point Jason. However, I was just thinking… How do we explain music like Death Metal, knowing this? I remember I used to have a room mate at university, who used to love to study while listening to it. I thought the most dreadful sounds came out of his room that made the hairs on my back stand straight up… when I went and had a look in his room, he was there sitting quiet, satisfied and comfortably listening to it while hanging over his books. Did he train himself to like it, by excluding those immediate feelings we should all have with this loud and often atonal music? Or is there more to it? Very good article – thank you – the points you have bolder are parricularly pertinent for me as I’m building a folder of examples and proof for what I have been doing for years. 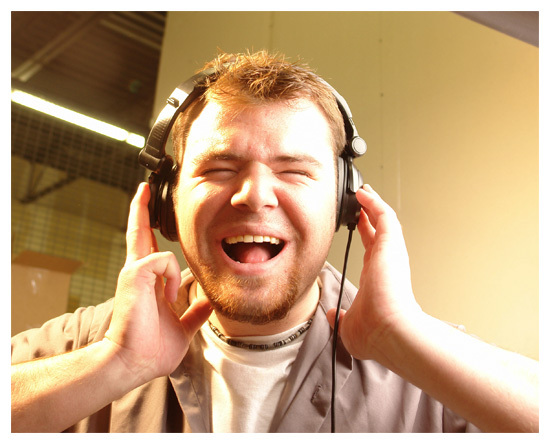 The study uncovered that the musical emotion is inherent in the music itself. Since music is a type of language, it has the ability to communicate unethical emotion as well. To decode what music means, one has to consult the experts of the field. For the untrained musician, one can look at how certain kinds of music are used in movies, for example. When immorality is the subject, there is a definite trend in compositional techniques. In Hollywood films, these specific techniques of composers used to convey evil are not employed to convey good (unless they are intended for another purpose like the classical music used in the movie “Silence of the Lambs”). These movies are not simply popular in the U.S.(attesting to the universal understanding of the music). The fact that people can be trained or train themselves to enjoy Death Metal and respond with satisfaction would not prove that there is no unethical meaning in the music.